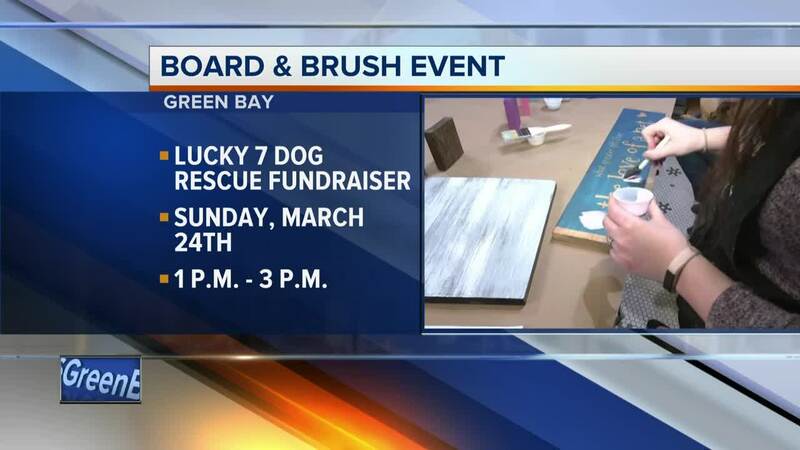 GREEN BAY, Wis. — Board & Brush Green Bay will be hosting a pet themed make and take event to fundraise for non-profit organization, Lucky 7 Dog Rescue. The event will take place on Sunday, March 24, from 1 p.m. to 3 p.m. No pre-registration is necessary, as it is a walk-in event. There will be four different pet themed projects to choose from. Participants will be painting the stencil design they choose onto wooden boards. The wood will be pre-stained and pre-sanded. There will be variety of paint colors to choose from. 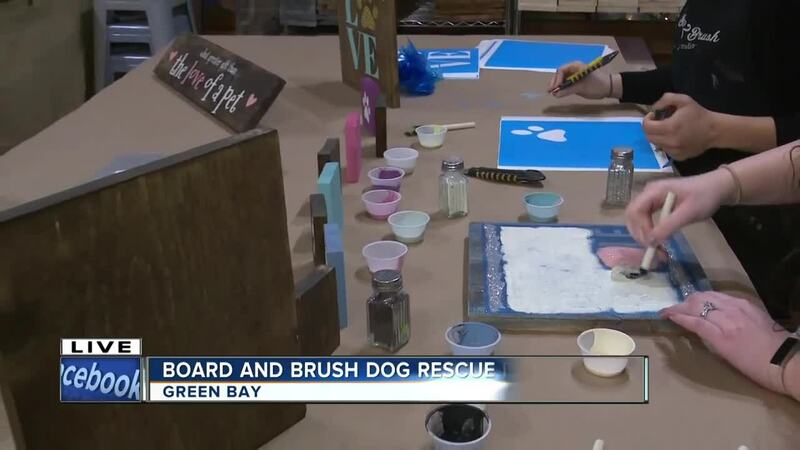 Board and Brush Green Bay Owner, Katie Forman, says no artistic ability is required and all ages are welcome. The make and take workshop costs $15 and 20 percent of the proceeds will go to the non-profit. 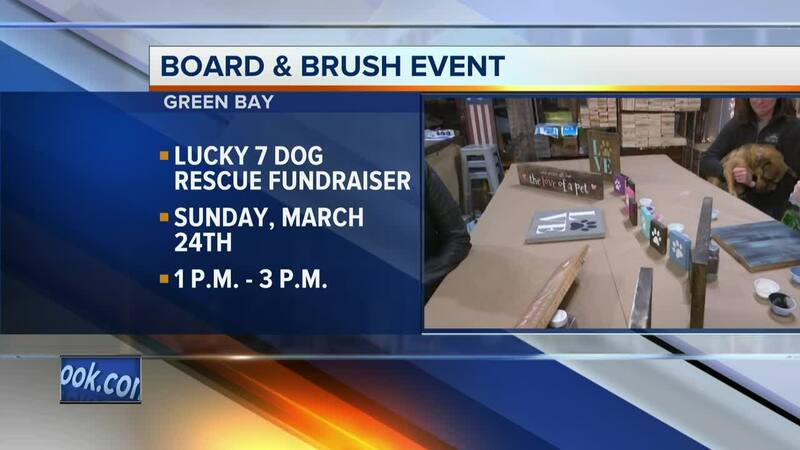 Lucky 7 Dog Rescue Event Coordinator, Bridget Blean, tells us the money will go towards getting a new van to transport more rescue dogs, taking care of their medical expenses and more. 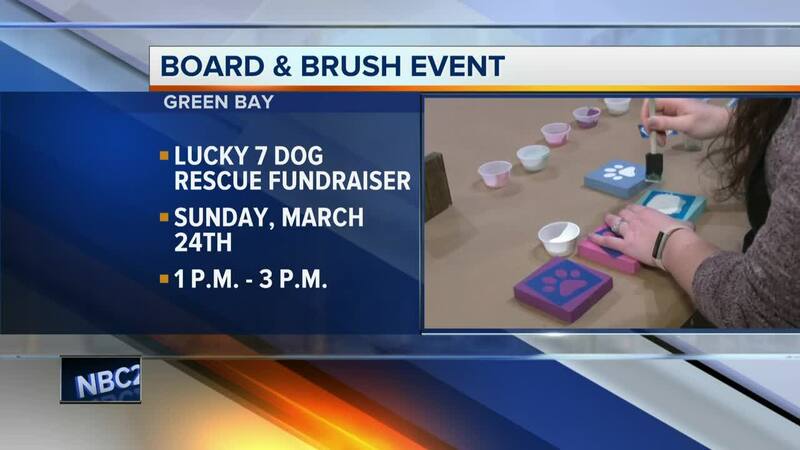 If you are unable to make it to the event, but would still like to help, you can volunteer to foster a rescue dog, adopt or make a financial donation on Lucky 7 Dog Rescue's website .